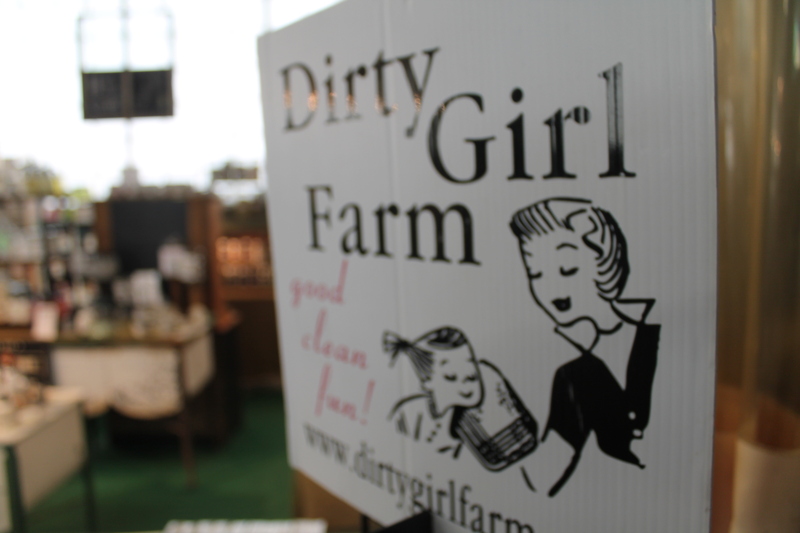 A trip to Royal Oak would never be complete without a visit to Dirty Girl Farm in the Royal Oak Farmer’s Market. Dirty Girl Farm is a natural skin care company with some of the best products I’ve ever used. My sister Erin manages the store in Royal Oak and you can tell how much she stands behind their products. Dirty Girl Farm products, as many as possibly anyway, are grown from the soil by the owner Heather Rosencratz. They smell nice, they feel nice, and they work really well. If I could sum up the Dirty Girl Farm store in Royal Oak Michigan, I think I’d use these 3 words: quality, creative, nourishing. Check them out on social media. Better yet, go visit my big sis in person at the Royal Oak Farmer’s Market. Posted on May 21, 2014 May 21, 2014 by themussmarter	This entry was posted in General MussMart News. Bookmark the permalink.